This is about the German version of The double-sided "The Lion King" Laserdisc, which were released in 1995 at German stores. 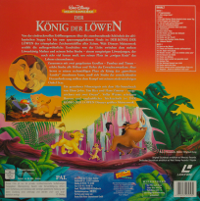 It contains only the movie, but in very good quality, at least compared to the VHS version during that time. Unfortunately only in Stereo and not in 5.1 DTS, but I guess it is better than nothing. On the bright side you are still able to see the original cinema release in video. 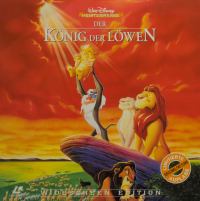 Of course, the Laserdisc is for a long time out of print, but if you are lucky you can find it on ebay. 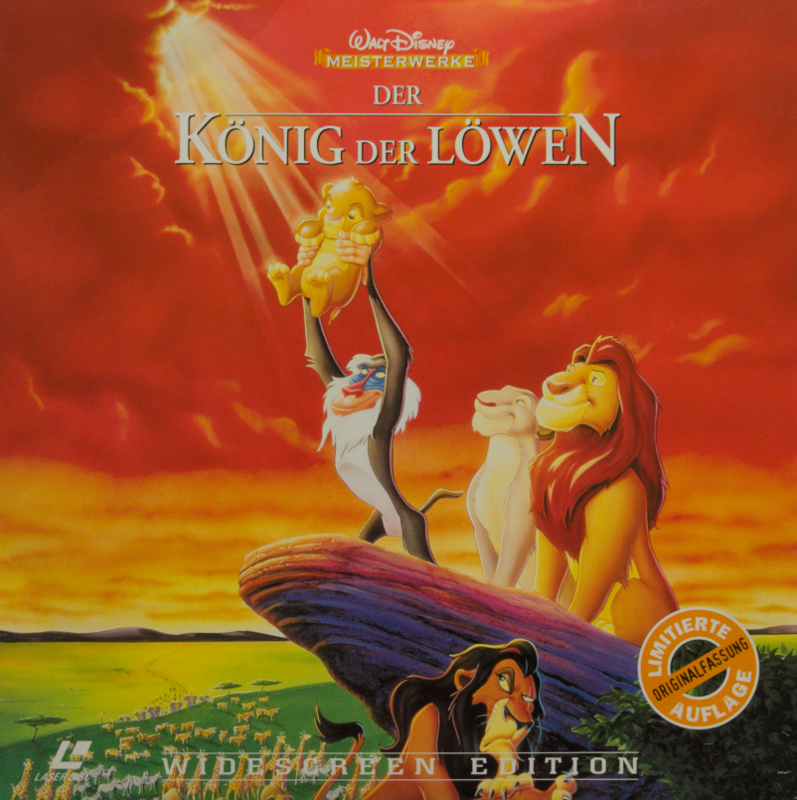 Cover of the German Laserdisc release.